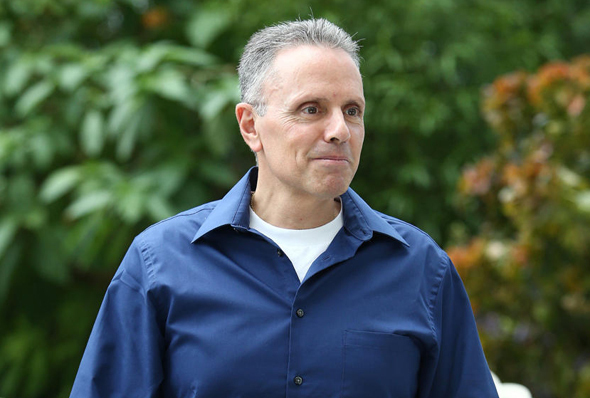 Apple senior vice president of hardware Johny Srouji is one of the candidates considered for the position of Intel’s next CEO, according to a Tuesday report by Axios’ Ina Fried. Intel has been on the lookout for a CEO since Brian Krzanich resigned in June following an affair with a subordinate. According to a Monday Bloomberg report, Intel is thinking of tapping an outsider for the job. Candidates no longer on the list include former Motorola Mobility CEO Sanjay Jha, former Intel and Qualcomm Inc. senior vice president Anand Chandrasekher, and former Intel president Renee James, Bloomberg reported. A former IBM and Intel executive, Srouji, originally from Israel, joined Apple in 2008 as the company’s chip chief, leading a strategy that has seen the company expand its chip design and manufacturing prowess, and extending the company’s control along the supply chain. Under his management, Apple has put more chips designed in-house into its products, including the iPhone, iPad, and Apple Watch. Srouji is also considered the driving force behind Apple’s decision to set up operations in Israel. After initially hiring a local operations manager in Israel in 2011, the company now employs around 1,000 people locally, after gobbling up several Israeli tech companies, including flash storage chip designer Anobit Technologies Ltd., 3D sensing company PrimeSense Ltd., and camera technology company LinX Computational Imaging Ltd. Between 1993 and 2005 Srouji worked at Intel’s Israeli offices in Haifa. A long-time heavyweight player in Israel’s, Intel employs around 11,000 people in the country, and some of its flagship chips are designed at least in part in Israel. The company is also one of Israel’s leading exporters, with manufacturing facilities in the country's south and in Jerusalem. Intel’s presence in Israel has become an even more important part of the company’s overall strategy with the acquisition of Jerusalem-based automotive chip company Mobileye NV for $15.3 billion in 2017. Following the acquisition, Intel’s global autonomous vehicle efforts were put under the management of Mobileye executives. Mobileye has doubled its workforce in Israel since, according to an interview Calcalist held earlier this month with CEO Amnon Shashua. Mobileye recently announced its intention to roll out an autonomous taxi service in Israel in 2019.